A prime-time game between the longtime NFC North rivals Chicago Bears and Green Bay Packers is usually enough to make for must-watch viewing on Thanksgiving. It will have to compete on Thursday with Brett Favre returning to Lambeau Field. At halftime, Favre's No. 4 will be unveiled on the north facade of the stadium next to Favre's name alongside the Packers' five other retired numbers. It's the culmination of a season-long reconciliation process between the team and their former franchise quarterback following their messy split in 2008. It's a Thanksgiving to remember in Green Bay. "I think the healing process is great to really honor him for what he accomplished here and move forward together," said Aaron Rodgers, who replaced Favre at quarterback. Favre's number actually has already been retired by the Packers. That happened in July in a ceremony held in conjunction with his induction into the team's Hall of Fame. Judging by the overwhelmingly favorable reaction that Favre received then from a crowd of 70,000, Lambeau should be rocking on Thursday. 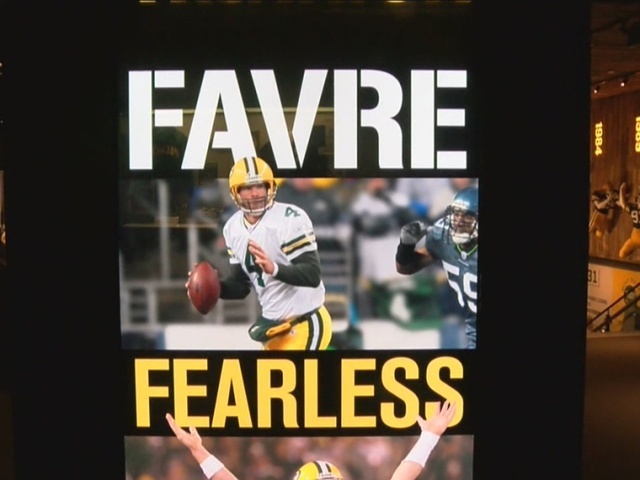 Too bad Rodgers and the rest of the Packers will be in the locker room at halftime while Favre is on the field. Hall of Fame quarterback Bart Starr, who is recovering from two strokes and a heart attack, was also scheduled to attend the game. "We've got to stay focused on the game, and our players will," coach Mike McCarthy said. "But this is obviously a very special, special time in the Green Bay Packers history ... The fact that you'll have Bart Starr, Brett Favre and Aaron Rodgers together for a moment I think will obviously be special and unique." There's a game to play, too. After all, it will be the 192nd meeting in the NFL's longest rivalry. Tune in to TMJ4 newscasts between 4-5:30 p.m. and 6 p.m. Thursday for live reports from Lambeau Field before the big game. 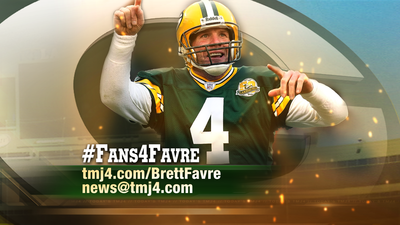 We'll also air a special Brett Favre special at 6:30 p.m..